To open the disc top cap, push down on the top of the closure where it is labeled 'press', this will open the opposite side exposing the orifice. Gently squeeze the bottle to dispense the product. 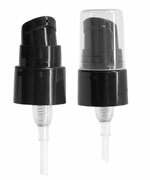 The 2 and 4 oz kits have a 0.27" orifice, while the 8 oz kit has a 0.31" orifice. 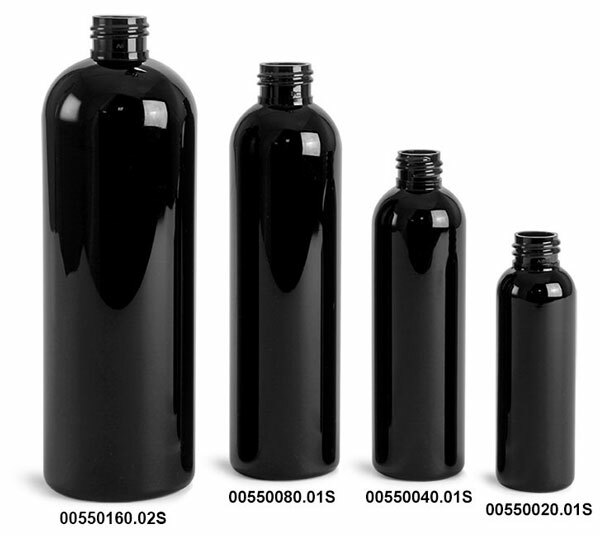 These black PET cosmo round bottles come with smooth silver disc top caps. 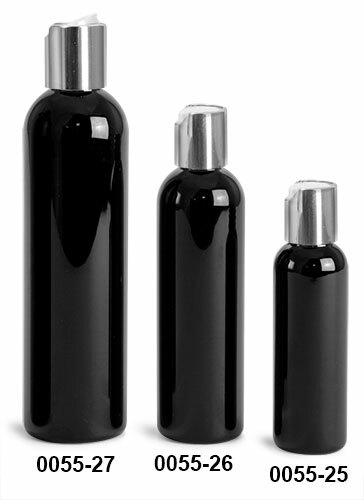 This kit allows for easy dispensing without having to remove the closure. These plastic bottles could be a good option for packaging products like shampoo, conditioner, body wash, lotion, and much more.